I was doing some cleaning the other day and came across something I saved from 2012. At the time, I knew it would be significant, but I had forgotten about it. I had the receipt from the last time I ate an Egg McMuffin stashed away. This is significant because it reminds me of just how far I have come. I was serious about losing weight at the beginning of 2012, although no one else would have believed it at the time. I had many failed attempts at losing weight before but something was different this time around. I knew I was facing health problems and I was just a week or two away from my first physical in years. I did not want the doctor to see me at my worst, so I had already started to make dietary changes. I had no idea how many changes I would make but giving up fast food was essential in my mind to losing weight. I used to love Egg McMuffins or just about anything McDonald's served. I also was a fan of Wendy's. 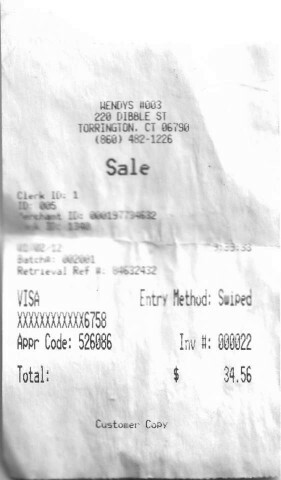 As you can see from the second receipt, that marks that last time I purchased food from Wendy's. Looking at the price, you can tell how much food I ordered. More than likely, I had a Frosty, some burgers, maybe some chicken sandwiches and some fries. Who was this person? I hardly recognize him now! You would think I would miss these foods since I ate them so often. But you know what? I think I was getting sick of the food and sick of being sick. Looking back, I had pain in my knees from the excess weight, headaches from the hypertension, nerve problems in my feet from probably being pre-diabetic. That physical saved my life. 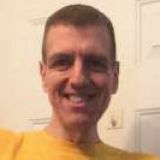 If I wasn't forced to check my health, where would I be now and what would my weight be? As you all know, I evolved and keep evolving. I only wish I became plant based when I initially lost the weight. When I think back to that time... I was not at my peak performance. I wouldn't have been able to do the strength training I do today had I not switched to plant based. I sometimes wonder if I became plant based back in 2012, would I have still had to deal with loose skin. The receipts are an important reminder of how long it's been. It also will send a message to those of you who want to lose weight. I was a fast food-aholic. I never would have dreamed I would have stayed away from the junk food for this long. I imagine the receipts are preserved like the food. If I had let the Egg McMuffin sit there for as long as the receipt was there, I bet the food wouldn't have broken down; can't prove it, just a hunch. The Health Benefits of Being Plant Based Are Undeniable!